LeBron James free agency: How much does King James impact ticket sales vs. other NBA stars? It's basically a foregone conclusion that LeBron James is leaving the Cleveland Cavaliers for the second time in eight years and will be the uncontested gem of 2018 NBA free agency. You could make a legitimate case, after all, for why every single team in the league should pursue the three-time NBA champion. Even a minor-league baseball team, for goodness' sake, has given its all to try to recruit King James. Wherever the 33-year-old superstar ends up, there's little doubt that he'll sell tickets. Now that's a phrase -- "sell tickets" -- that gets used quite a bit when people get to talking about big-name players. In the NFL, for example, the lowly Cleveland Browns have, even if in jest, been linked to such a concept for years -- the idea that any prolific player they could land might finally encourage a disappointed fan base to show up on Sundays. But the numbers suggest that James isn't any old big-name player when it comes to upping his team's ticket sales. Maybe that's unsurprising because James is recognizable well beyond the NBA, but the NBA is also a star-driven league, and even in that culture, even into his 30s, LeBron seems like sports' greatest lock to "sell tickets." StubHub, the online ticket exchange, told CBSSports.com that four of its top five seasons for Cavaliers ticket sales came in LeBron's second stint in Cleveland. "At StubHub, we have seen Cavs ticket demand steadily increase each season since LeBron returned, which is a real testament to his star power," said StubHub spokesperson Cameron Papp. "There are only a few athletes in all of sports who can sway ticket demand, both home and away, like he can." Meanwhile, TickPick, another secondary ticket marketplace, said the average purchase price for its Cavs tickets went up 80 percent from the previous year during LeBron's first season back in Cleveland. In 2013-14, his final season with the Miami Heat, the average Cavs ticket on TickPick cost $60. In 2014-15, that total jumped to more than $100 and peaked at $120 in 2016-17. Over the course of his latest four-season stretch with the Cavs, LeBron's presence coincided with an average TickPick ticket cost increase of about $43 from 2013-14, when he played for the Heat. The numbers indicate LeBron's movement didn't just happen to affect the Cavs' sales, either. A year after Heat tickets sold for an average of $114 on TickPick, that total dropped 19 percent during LeBron's 2014-15 Cavaliers homecoming -- then plummeted to an average of just $60 in 2016-17. And no other major player appears to have come close to shifting sales in recent years, as TickPick also analyzed year-to-year increases or drop-offs for teams that added or lost the following players: Kevin Durant, Kyrie Irving, Dwyane Wade and Gordon Hayward. 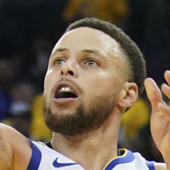 Durant's move to the Golden State Warriors actually preceded a 16-percent drop in average Warriors ticket costs, whereas Irving and Hayward relocating to the Boston Celtics registered a 50-percent increase in average ticket costs in 2017-18 -- still sizable, but a hearty 30 percent less than LeBron's initial return to Cleveland. The cut-and-dry takeaway: LeBron James sells tickets, and even though most might roll their eyes with we-already-knew-that agreement, he probably sells more than you think.